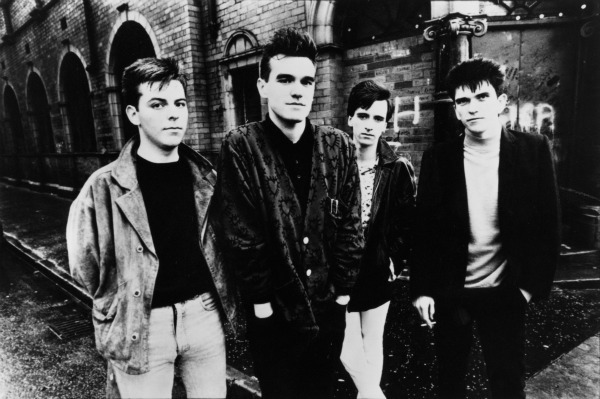 Rhino/Warner Bros. will release a limited-edition 7-inch single by The Smiths on Record Store Day next month that features previously unreleased versions of the band’s 1985 single “The Boy with the Thorn in His Side” and its original B-side, “Rubber Ring.” Record Store Day is April 22. 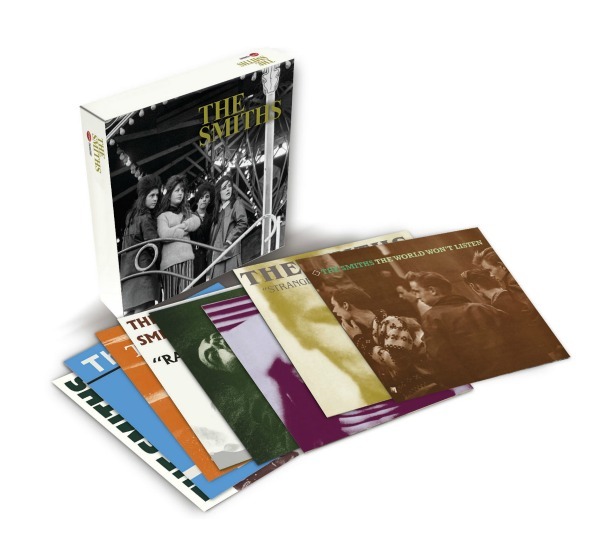 Last September, we gave away a copy of the CD-and-vinyl version of The Smiths’ ‘Complete’ box set to one lucky Slicing Up Eyeballs reader, and now, with the newly remastered albums released individually, the fine folks at Rhino Records have provided us with three copies of the 8-disc CD box set to give away. 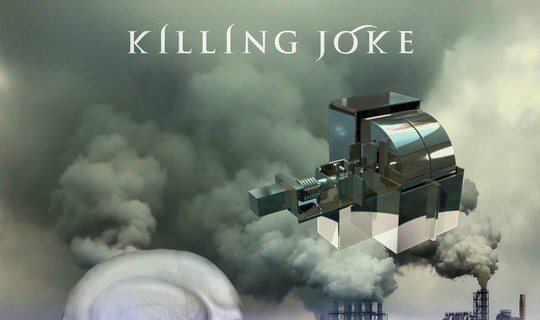 This week’s new releases include ‘MMXII,’ the 15th studio album from Killing Joke, plus a reissue of Morrissey’s 1988 solo debut ‘Viva Hate,’ the new 2CD fIREHOSE anthology ‘lowFLOWs,’ a stripped-down version of Elvis Costello’s ‘Spectacular Spinning Songbook’ box set and U.S. editions of The Smiths’ reissues. If you didn’t buy The Smiths’ ‘Complete’ box set last year because you’d rather cherry pick which albums to get, you’re in luck: Later this month, Rhino Records will release, in the U.K., standalone CD editions of each title in the set — all four of the band’s studio album, plus three compilations and a live album. 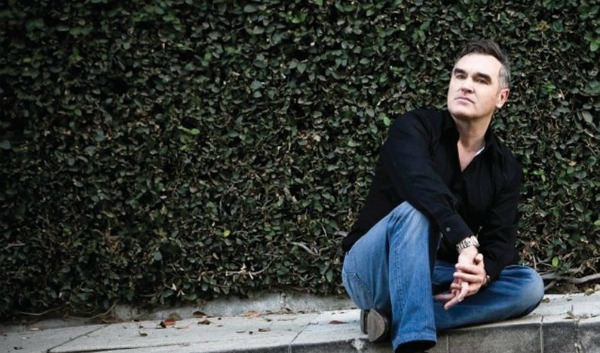 Morrissey this week ranked his back catalog in a list that’s topped by his last three solo records — ‘Years of Refusal,’ ‘Ringleader of the Tormentors’ and ‘You Are the Quarry’ — and that relegates three latter-day works by The Smiths to Nos. 5 through 7. 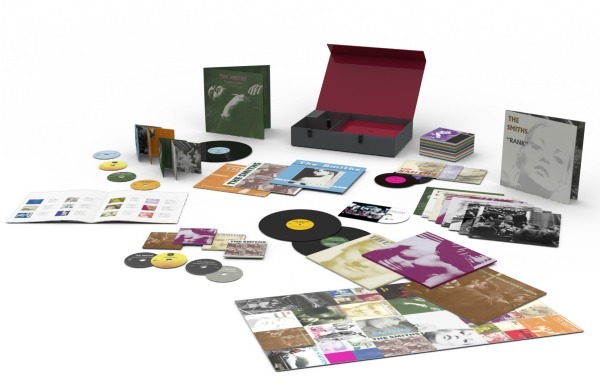 While initially announced as U.K.-only, Rhino Records has decided to release a limited number of The Smiths’ ‘Complete’ box sets in the U.S. exclusively through Rhino.com. Even better: They’ve given us a copy of the deluxe CD-and-vinyl edition to give away to one very lucky Slicing Up Eyeballs reader. The U.K. arm of Rhino Records this fall will release ‘The Smiths — Complete,’ a ‘super deluxe collectors’ box set’ that will feature remastered versions of the band’s eight albums on both CD and 180-gram audiophile vinyl, plus all 25 of the group’s singles on individual 7-inches. For fans who’ll be in the Los Angeles area this weekend, this year’s installment of the Smiths/Morrissey Convention — set for Sunday at The Music Box in Hollywood — features an added attraction: an actual member of The Smiths. 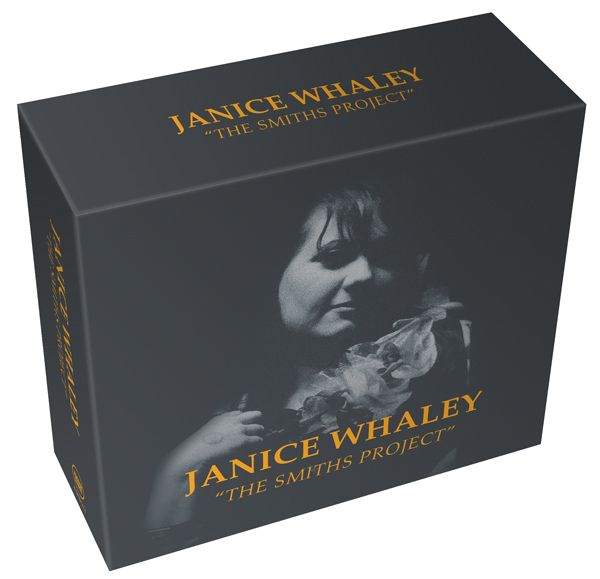 Janice Whaley is releasing the fruits of her ambitious The Smiths Project — vocal-only covers of all 71 songs The Smiths ever recorded — as a lavish 6CD box set. Fans can pre-order the collection through March 1.